A full beef burger made from regular ground beef with cheese and bacon can deliver as much as 1600 calories. Add fries to that and you are talking about a heart attack on a plate! The average person in America eats about three or four burgers per week! Choose a chicken burger, skip the fries and the bacon and choose a lower calorie cheese such as mozzarella. Many chain restaurants tote these as a healthy choice, but once you add cheese, mayonaise, bacon and other toppings, the sandwich suddenly loses its healthy vibe. The size of these sandwiches can also add to the calorie load quickly and easily when you consider that you are consuming a twelve inch length of bread loaded with toppings that are less than healthy. A sub can be healthy, but only if you choose a 6 inch sub with poultry style meats, no cheese and no mayonaise. Be sure to choose whole wheat bread and avoid white bread. Pizza is loaded with greasy cheese and meats. The crusts are progressively thicker and can add up to a massive amount of calories. A slice of pizza can have up to 500 calories and when you consider that the average person consumes three to four slices, that is a lot of calories for lunch. Choose a thin crust option with sparse toppings or a vegetarian pizza with less cheese. 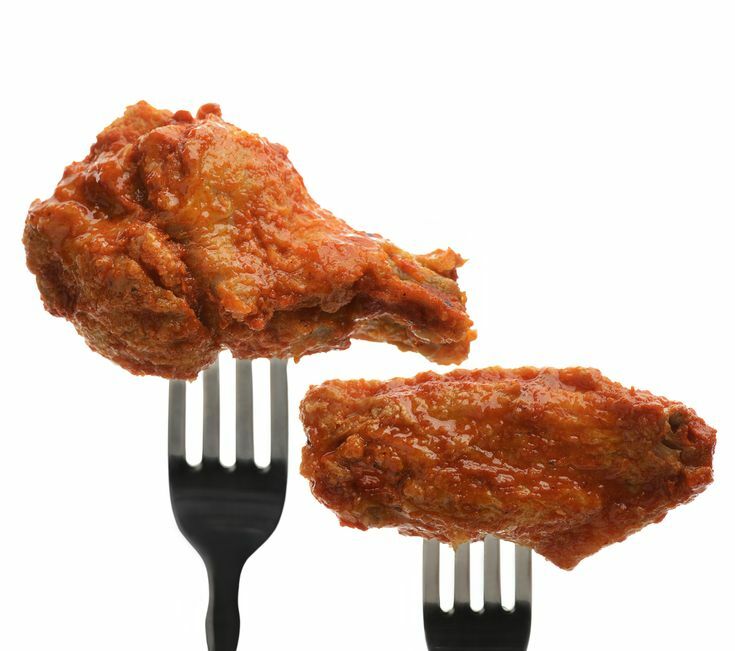 These days many restaurants tend to bread their chicken wings and this can add a lot of calories. Chicken wings without breading are quite caloric when you take into account the oil in the skin of the chicken. Everyone thinks that chicken is low calorie, but definitely not if you are eating the skin. Always remove the skin from chicken before you eat it and choose white meat over dark meat. This sandwich is comprised of two slices of bread that have been dipped in egg and fried and then stacked with a variety of meats and swiss cheese. If you ate a quarter of the sandwich, it might be enough calories for you for lunch, but most people will consume the entire sandwich. Choose a non-fried sandwich with poultry or low fat ham and avoid the Monte Cristo. Many restaurants serve soups that are cream based and very caloric that are also high in sodium. This deadly combination can carry a huge amount of calories and certainly more than a more safe choice like a broth soup. The bread that is served with the soup is usually thick-sliced and should be skipped altogether.